Ashley has been waiting forever to say three little words “I guess so”. They might not sound all that important, but when you have been searching for a family to call your own practically your whole life they can mean a whole lot. Ashley was only three years old “the day they stole her mother from her” ever since then she has been living off of the promise her mother made to her. What she didn’t realize is that she would never be able to live with her mother ever again. Over the course of almost 10 years Ashley had lived with over a dozen of foster parents. And with each family she lived with many memories were made, most of them turned out with bad endings. When she was four years old Ashley and her younger bother Luke were sent to live with their grandpa and his wife. The social workers thought that it would be the best for them because they would be able to live with family but it just ended up creating a bad memory that they would be forced to live with for the rest of their lives. Many other scaring memories were created by other families forcing her to believe she would never be loved again the same way she thought her mother loved her. When she was 9 years old she moved into Lake Magdalene foster shelter. Over the next couple of years she realized that she would never be able to live with her mother ever again. She wanted nothing more now but to be able to live with a family that would love her and give her the life that she had been wishing for. 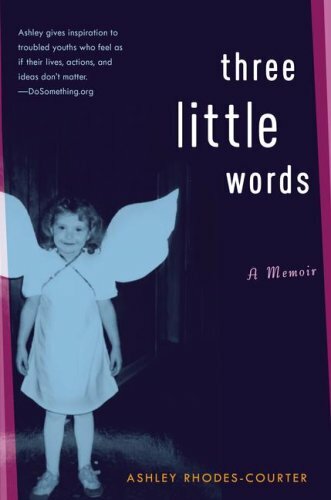 This book tells the story of someone who has had to struggle her whole life just to be loved. It takes you on a long journey into the world of being a foster child. Before reading this book I never realized how traumatizing it could be to not have a steady place to call home and how it feels to not know where you would end up the next day. I would recommend this book to anyone who likes memoirs or real life stories. If you read this book it will give you a whole different outlook on the world of foster care.